ADEN (Reuters) - Fighting broke out on the outskirts of Yemen's port city of Hodeidah on Friday, residents said, a day after a ceasefire agreement was reached by the warring parties at U.N.-sponsored peace talks. The main port used to feed Yemen's 30 million people is held by the Iran-aligned Houthi movement that also controls the capital Sanaa and has been battling against a Saudi-led Arab coalition seeking to restore a government ousted in 2014. Hodeidah has been the focus of fighting this year, raising global fears that a battle could cut off supply lines and lead to mass starvation. Yemeni forces backed by the Saudi-led coalition have massed on the city's outskirts. Despite the ceasefire, one resident told Reuters he could hear the sound of missiles and automatic gunfire in the direction of the eastern 7th July suburb. Houthi-run Al Masirah TV said coalition warplanes had launched two strikes on Ras Isa city north of Hodeidah. The coalition did not immediately confirm the report. The warring sides agreed after a week of consultations in Sweden to cease fighting in Hodeidah and withdraw their troops as part of confidence-building measures to pave the way for a wider truce and political negotiations. 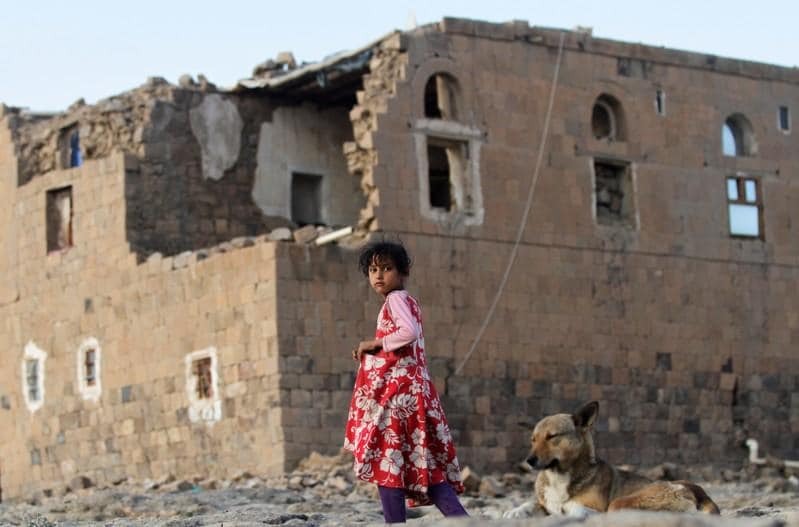 It was the first significant breakthrough for U.N.-led peace efforts to end the nearly four-year-old war that has killed tens of thousands of people and pushed Yemen to the brink of famine. Envoy Martin Griffiths said at the end of the peace talks that both parties would withdraw "within days" from the port and then from the city. International monitors would be deployed and all armed forces would pull back completely within 21 days. A Redeployment Coordination Committee including both sides and chaired by the United Nations would oversee implementation. Both sides issued statements following the talks claiming they would ultimately control Hodeidah. Abdullah al-Alimi, a senior official in the office of the Saudi-backed President Abd-Rabbu Mansour Hadi, tweeted on Friday the deal meant a Houthi withdrawal from the city and "the legitimate authority will fully control security and administration". The Houthis' media office tweeted that "occupying forces" would quit Hodeidah and "the current authority will be the official authority". Griffiths told the U.N. Security Council on Friday that a robust monitoring regime was urgently needed in Hodeidah to oversee compliance with the truce. Such a monitoring mission needs a Security Council resolution, diplomats said. He said retired Dutch Major General Patrick Cammaert agreed to lead monitoring and could arrive in the region within days. "The process outlined on Hodeidah is one that's wracked with potential pitfalls -- the key will be ensuring an orderly withdrawal process in preventing spoilers from derailing the process," said Adam Baron of the European Council for Foreign Relations. The warring parties are due to hold another round of talks in January to discuss a framework for political negotiations. Western nations, some of which supply arms and intelligence to the Sunni Muslim military coalition, have pressed alliance leaders Saudi Arabia and the United Arab Emirates to end the war following outrage over the murder of Saudi journalist Jamal Khashoggi in Riyadh's consulate in Istanbul.